Paytm Mall : Free Products for First time users – A few Months back paytm has started its shopping portal as PaytmMall and started giving some amazing offers on daily use products, Beauty products, and Groceries also they have started to give away free products i..e 100% cashback on few products for their First time users and this offer is still working as on today i..e 15th of July. In this post, i have come up with all the offer details of this and also some good product suggestions. How to Get the Free Products from Paytm Mall? Now after Downloading Just Register using your Mobile number. Verify Your One-time password, ignore if you already have an account. *. Now Just Find the KYC option and give your adhaar card Number. *. you will see varieties of products under the same banner. Now just click on the Buy button and Update your Address. On next Page, you have to pay the full Amount via Debit/credit card, Net banking, UPI etc. *. Congrats!! 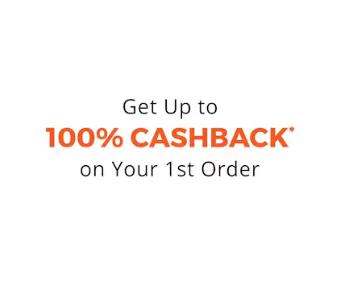 now Your order will be placed and you will get 100% cashback up to 200 after shipment of your products. Product suggestions Under FIRSTTIMELUCKY offer. Basically, you can choose any product which is under the Firsttimelucky banner but choosing a product with zero delivery charges or fewer delivery charges won’t hurt Your pocket anything so, Here I am throwing some suggestions for some 10 useful products with fewer delivery charges or Zero delivery charges from lower To higher price. Multi-use plastic bowl set only Rs.10. Unique Portable Foldable Universal Flexible Mobile Holder Lazy Stand for free. Redmi Note 4 Back Hard case cover for Free. Hilex plastic Extension cord 3.6mtr For Free. Pinacalz full-size Selfie stick with Almunium cap for Free. Not only the above products but also there are so many other cool products available and you are getting everything for free or Nominal Price with PaytmMall. Now, what are you waiting at, just download Paytm and buy your free products? Also, you can get such type of deals via WhatsApp you just have to ping us at 7008328667 (WhatsApp only)..